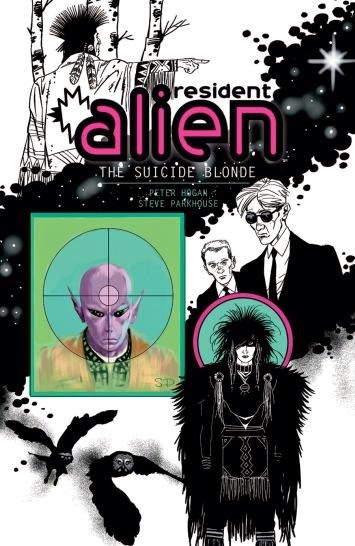 PICK OF THE MONTH: Resident Alien volume 2: The Suicide Blonde by Steve Parkhouse and Peter Hogan: I loved the first volume of Resident Alien, so was incredibly pleased when Dark House announced another mini-series, collected here in trade paperback. The first book both works as a stand alone story, but also established a premise and protagonist interesting enough to require further exploration. In that volume, a small town turns to the reclusive doctor living near the lake when a number of people -including the medical coroner are murdered. The kick is that Dr. Harry Vanderspeigle is an alien, stranded on Earth decades prior, having eked out a quiet existence for himself, with a disguise filter of some sort preventing people from seeing him as he truly is. 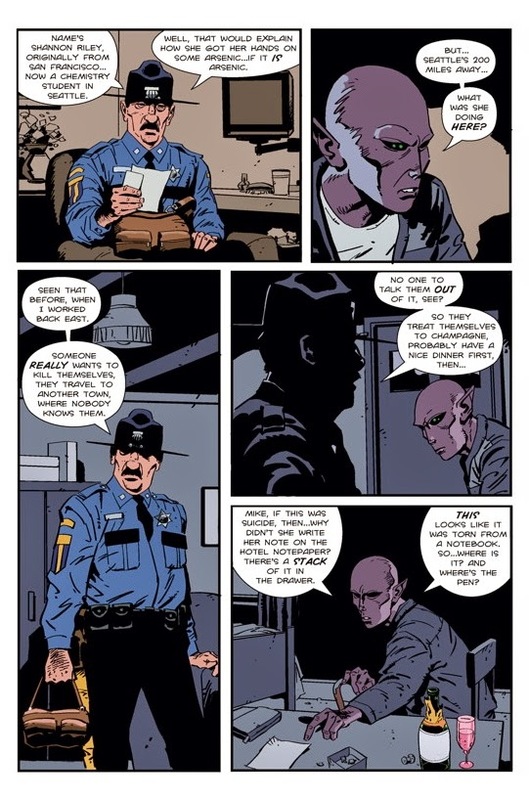 Essentially, Resident Alien reads as a crime book, with Vaderspeigle the 'maverick loner' with special insight, solving the murder of the week. It's a really, really good comic, and beautifully illustrated by Parkhouse, and I'm hugely looking forward to sitting down with the second volume. 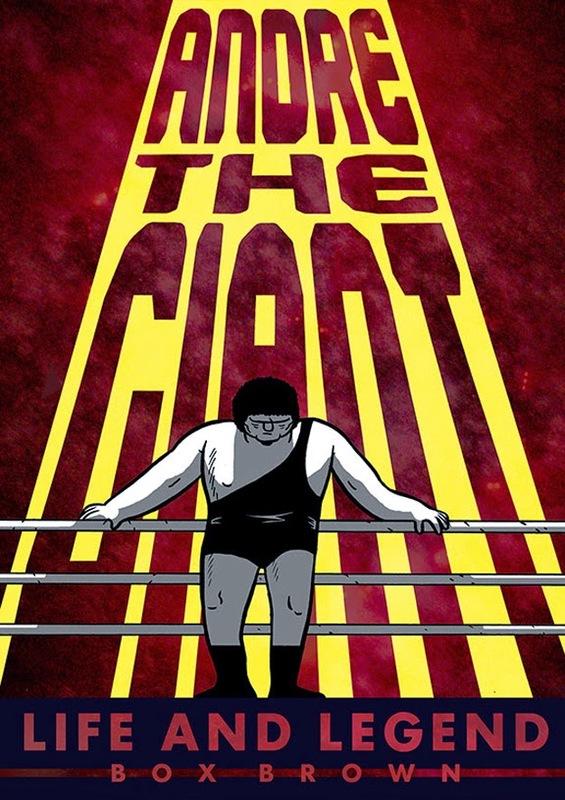 Andre the Giant by Box Brown, First Second: Box Brown's highly anticipated biography of much-loved cultural and wrestling icon, Andre the Giant, is released this month, and all the signs point to it being a cross-over hit, as it appeals to a variety of demographics- film fans, wrestling fans, comics fans. It's well-placed also, as pretty much the first substantive biography of Rousimmof's life- apart from an incredibly poor 2009 effort by Michael Krugman. Brown's pared back, clean cartooning, love for the material and meticulous research all make this one to look out for. 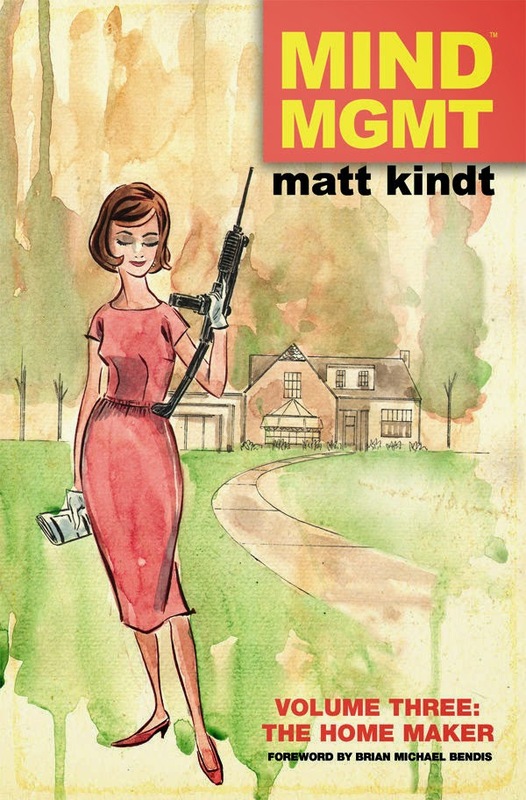 MIND volume 3: The Home Maker by Matt Kindt, Dark Horse: I don't think I've ever talked about Matt Kindt's MIND series here, and it's a difficult one to put into words, but it has so much going on, and is such a satisfying read. It traces the paths of the MIND organisation who have been shaping and influencing world events via the placement of highly trained special agents with unique talents: people who can predict exactly what'a going to happen one moment to the next, twins who have the ability to write persuasive, hypnotic text in newspapers. In the middle of it all is a young reporter who stumbles across the story when investigating the mystery of a commercial flight on which everybody aboard lost their memory- save one man. Hard to pin down succinctly, but definitely worth picking up if you haven't read it before. 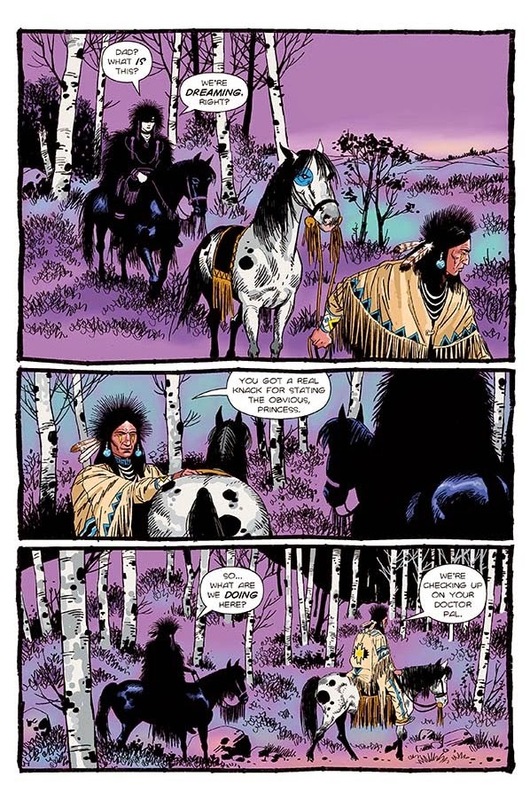 Naja by Bengal and JD Morvan, Magnetic Press: French artist, and founder of France's equivalent to devinatart, CFSL 'Cafe Sale,' Bengal is much admired and well-known in the US and Canada, despite not having released any English language work. That's about to change this month with new publishing imprint, Magnetic Press, releasing a complete collected edition of his and JD Morvan's Naja, about an assassin who goes rogue after a kill hit is put out on her, seemingly coming from within the organisation she works for. It's a pulpy tale, and it's really pretty much all about Bengal's art- a synergetic mixture of Japanese and European traditions. You can see a preview here. 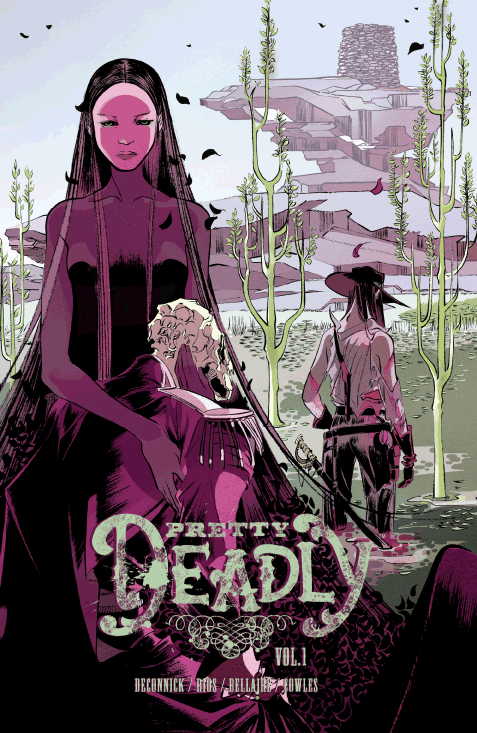 Pretty Deadly by Emma Rios and Kelly Sue DeConnick, Image: I read the first issue of Pretty Deadly when it first came out, and decided I liked it enough to wait for the trade to sit down and spend some time with it (I got my copy last week, but am yet to read it). It makes me inordinately pleased to see Westerns making a small comeback of sorts in comics, and with mythic overtones- both this and East of West feature Death as a central character, and yet couldn't' be more different stories. I'm glad they've been very well received by readers. Emma Rios has been doing an amazing job on the art, which contributes heavily to the poetic, lyric feel of the book as a whole. It's one of Image's more cheaply priced-trades too, so if you're curious and looking for something to read, make it this one. 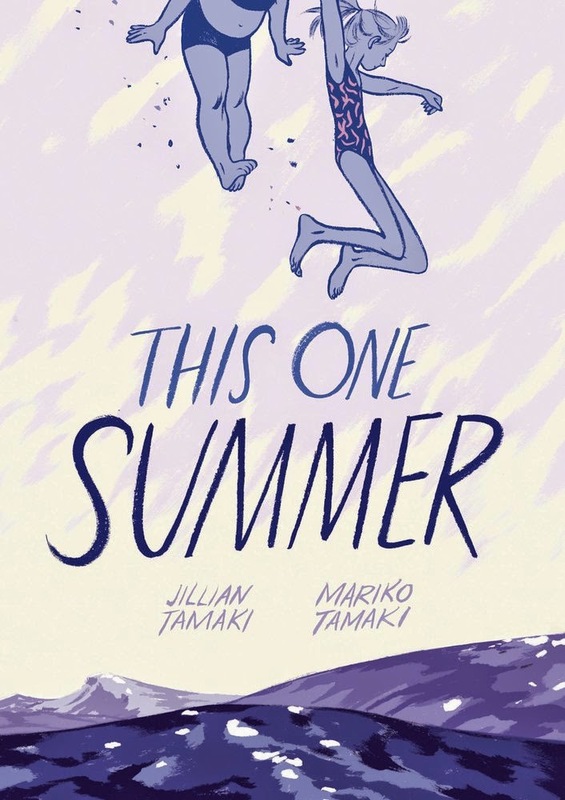 This One Summer by Jillian Tamaki and Mariko Tamaki, First Second: The Tamaki cousins collaborate on another graphic novel, after their 2009 critically acclaimed, book, Skim. That book dealt with the singular pain and growing awareness of teenagers, and This One Summer broaches a similar subject of sorts. Following Rose and Windy, 2 friends who see one another every summer when their families holiday at Awago Beach, it focuses on one particular summer where things begin to change and the girls view of the world begins to shift. It's a gorgeous looking book and will no doubt be told with the Tamaki's signature poignancy and depth.